While we typically recommend Google Flights, Skyscanner, and Momondo for finding the best flight deals, Kayak is another solid option. 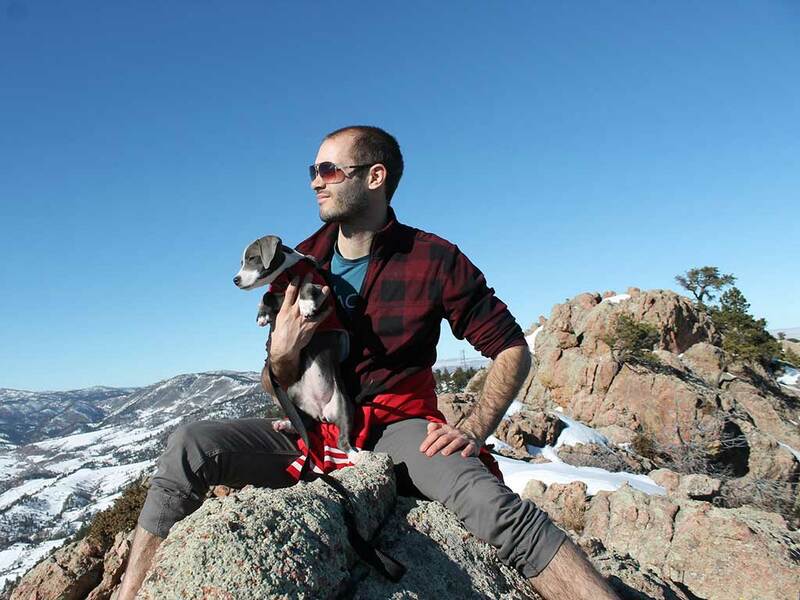 It’s a travel search engine that displays prices for flights, hotels, or rental cars. Search your dates and destination and Kayak condenses the results and lets you choose the right option for your trip. Kayak is one of the most popular travel search engines, but it’s not without its flaws. Here, we break down the pros and cons of Kayak and offer tips on how to use Kayak to find cheap flights. 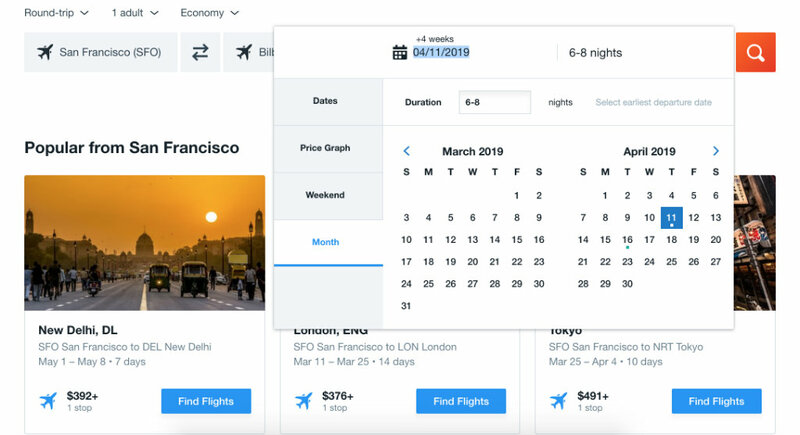 The ability to view flexible dates: You can search for cheaper flights up to three days before or after your intended travel dates or do a flexible month search, which searches four weeks from your earliest departure date. However, the calendar on Google Flights offers a bit more visibility into alternate dates and prices. 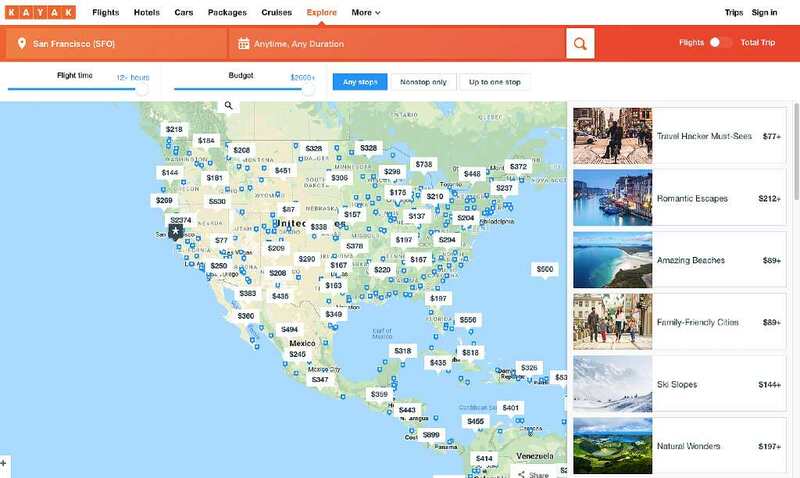 Exploring destinations when you don’t know where you want to go: Kayak has an Explore option that allows you to look at affordable destinations on a map. You can tailor the search criteria to fit your dates, trip duration, and budget, or you can select a themed search (like if you’re looking for a romantic getaway). 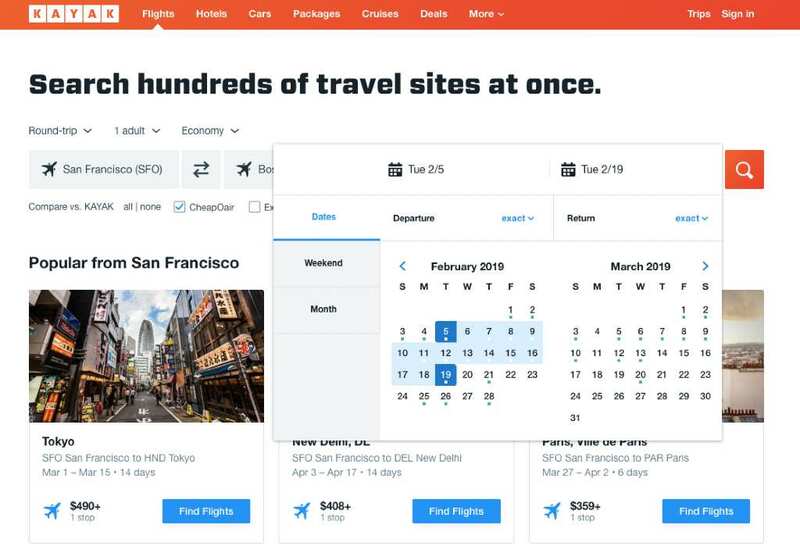 Allowing you to filter by aircraft, flight quality, and where you have a layover: Customizable search results help you find the best trip itinerary for your needs. It’s slow: The biggest drawback of Kayak is that the search takes a bit longer than Google Flights. And, despite all of its customizable search options, the Kayak interface isn’t very clean. 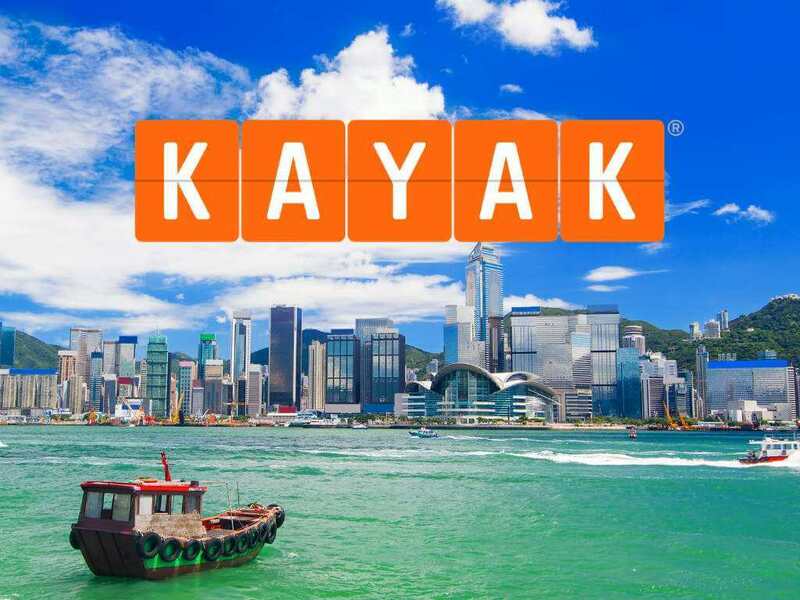 The website runs advertisements: Of course Kayak is a business and needs to earn money, but the advertisements do get cumbersome after awhile. There are many. It does not search small OTAs: Kayak searches all the big OTAs like Expedia and Orbitz, but, unlike Momondo, it neglects smaller OTAs. This means it may not show you the absolute cheapest option. As we said, Kayak’s interface can be a little confusing. Here’s a Kayak tutorial on how to use the site to find cheap flights. Let’s say you’re planning a winter trip from San Francisco to Munich, Germany, to make your way over to the Alps for some ski time. First, select your dates. This two-week ski extravaganza will take up two weeks in February. Make sure your location is properly set (San Francisco to Munich), and if you’re willing to fly from Oakland or other Bay Area airports, click the box for “Include nearby airports.” Hit search. The first result is an ad, and underneath that, the default display order is “Recommended.” In this case, the top recommended flight is also the cheapest flight via British Airways for $420. To find the cheapest option, select “Cheapest” from the drop-down menu in the top right-hand corner. Kayak even gives you a handy tidbit of advice at the top of the search, advising you to buy now as the prices will likely increase in the next seven days. If you're travel dates are very flexible, you can use the flexible month search and see prices for four weeks after your earliest departure date. Select the number of nights (either one number or a range like 6-8) and then choose the earliest date your trip can start. If you have a bit of wiggle room within a range, you can set flexible dates up to three days before and after your search dates to see if there are other options available. Click the calendar symbol next to the search date, and then click the drop-down menu next to “exact.” You will see options to add flexible dates for both the outbound and return journey. Once you search the flexible dates you’ll see a large table of options with flights listed out below it. Kayak returned a cheaper fare for $411 if you leave two days in advance. One of Kayak’s best features is its plentiful filter options, which you can see on the left-hand sidebar above. You can use the presets to choose the number of nights at your destination, how many stops you’ll have, what airlines you prefer, take-off and landing times, price range, airplane cabin (economy to business), layover airports, and a whole lot more. The tighter the search criteria, the less likely you are to find that $411 flight deal. But if you’re all about comfort, it’s a good feature to have. Sometimes you’ll see the words “Hacker Fare” directly under the price of a search result. 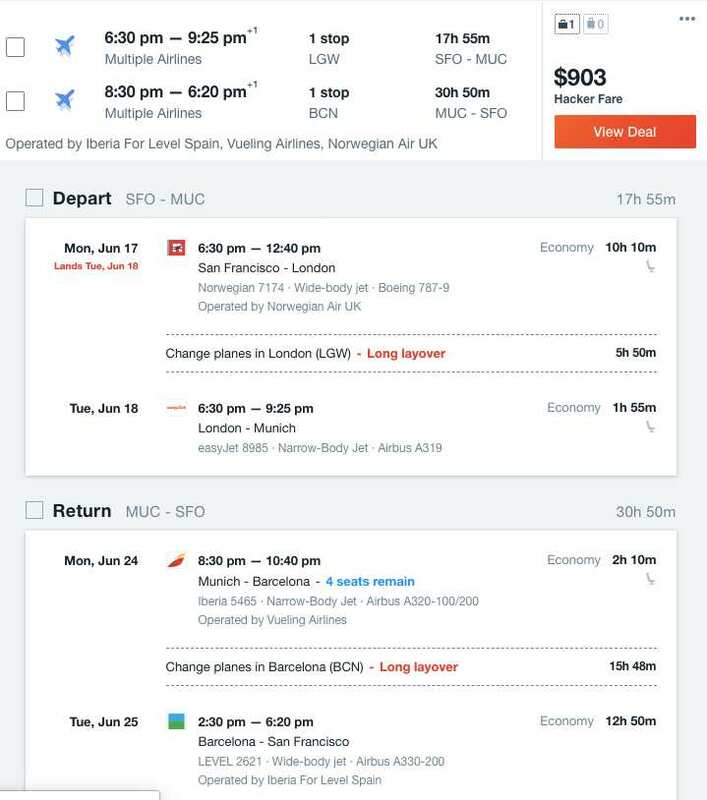 Hacker Fares pop up when it’s cheaper to book two one-way tickets that together make a round-trip flight, rather than booking a round-trip from a single airline. 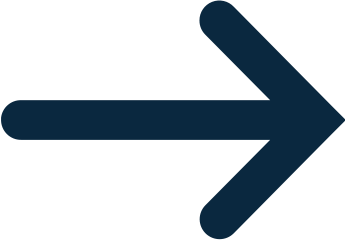 These tend to show up more for flights within the US, when you’re traveling to a destination during peak season, or if your route isn’t a common one. 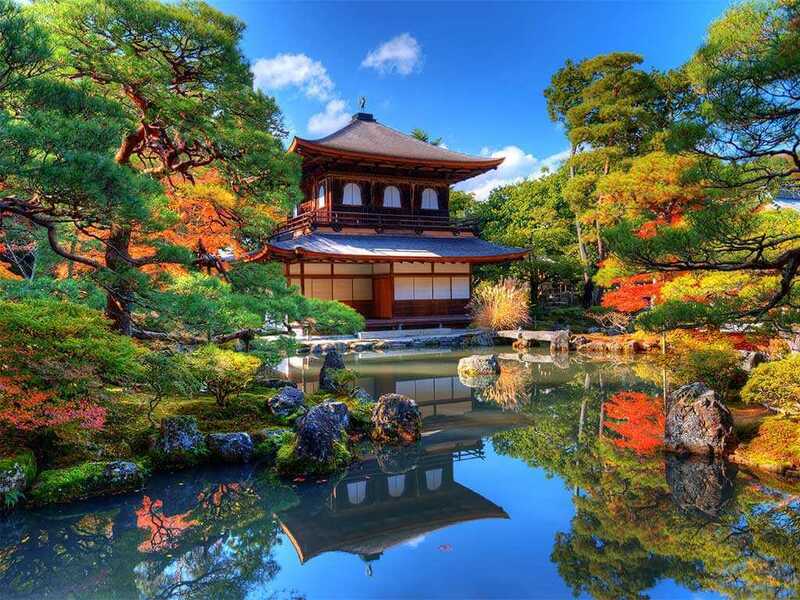 They’ll also often give you options with long layovers so that you can stop in a city on your way back. For example, if we move our trip to Munich from February to June, we get several Hacker Fares. Important: Before you book, make sure both tickets are still available. To do so, open each booking in a new tab and double-check its availability and price. Finally, if you’re planning a trip and you’re not sure where you want to go, Kayak gives you plenty of options with its Explore map feature. You can select exact dates or choose the month you want to travel in and the duration. Set your flight time and your budget, and the map automatically updates. 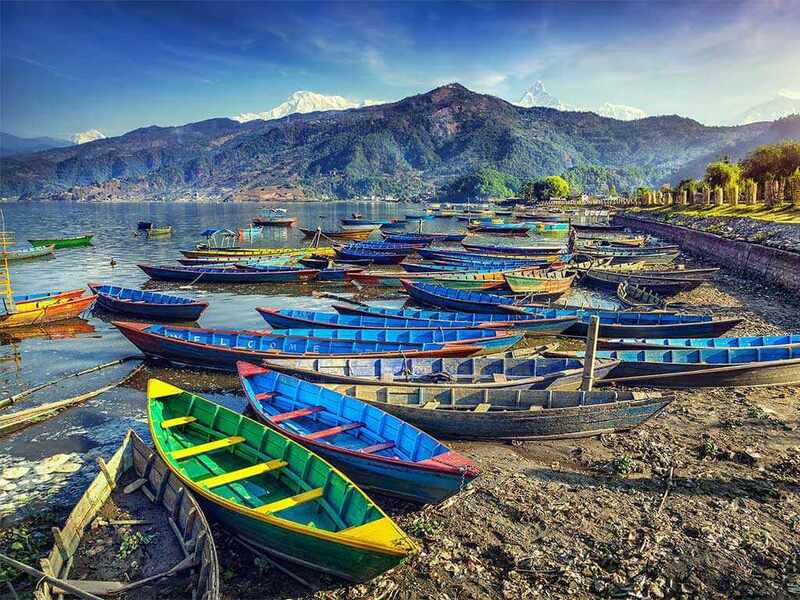 Here, we’ve selected a trip from San Francisco for the month of February for up to 13 days. The budget is set at $1,000 and the Flight Time is wide open. As you can see, there are plenty flights under $1,000 within United States, Africa, and Europe. The further you zoom out, the more destinations you’ll find. $383 to Rome? Yes, please! The right-hand side menu also lets you choose a themed destination. So if you’re seeking other ski destinations, you can select “Ski Slopes” to find some excellent options like San Francisco to Fernie, Canada (via Kalispell) for $246. 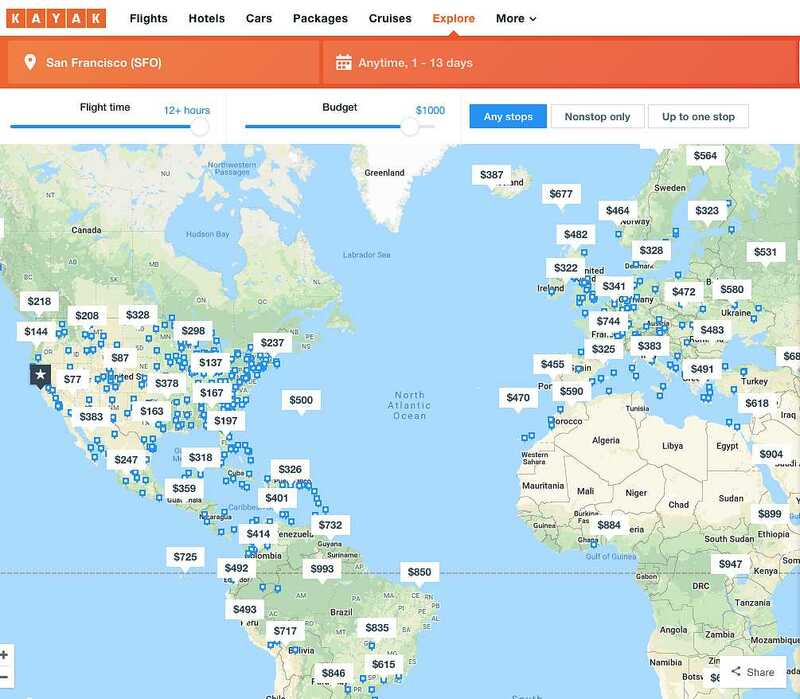 Should I book via Kayak, direct, or with another OTA? 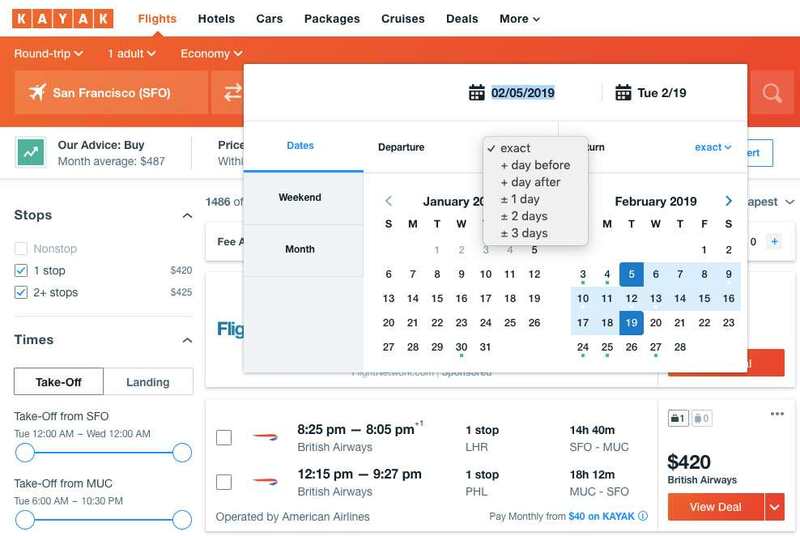 When you’re searching for Kayak flights, you’ll notice that for some results the “View Deal” box offers several options, which may include booking direct with the airline, booking with an OTA like Orbitz or Kiwi.com, or booking with Kayak. However, note that if you choose the last option, you won't actually be booking with Kayak. Even though a booking page pops up within the site, if you look down at the fine print, you'll see you're actually booking with another OTA, usually Priceline. This means any customer service will be handled by them, not Kayak. You’ll want to weigh the pros and cons of booking via an OTA or directly through an airline. OTAs use a global distribution system to find out what airlines are charging for flights. When you book a flight on an airline’s website, your ticket gets issued immediately because the airline is both the seller and provider. But with OTAs there’s a delay when you buy a ticket because they don’t actually have the ticket yet; OTAs act as middlemen between you and the airline (and they earn commissions in the process). The biggest downside of booking through an OTA is that most sales are, essentially, final. When you purchase a flight direct through the airline you have the 24-hour rule: you can cancel your ticket without any penalty. It’s the law. But that’s not the case with OTAs. While some do offer a 24-hour refund window, cancellation policies vary from OTA to OTA. If you need to cancel, you may be out a lot of money in fees. OTAs don’t always have great customer service (especially the smaller ones). This is partially why they can afford to return such cheap flights to begin with. If you need to cancel or change your flights, it might be difficult or expensive. 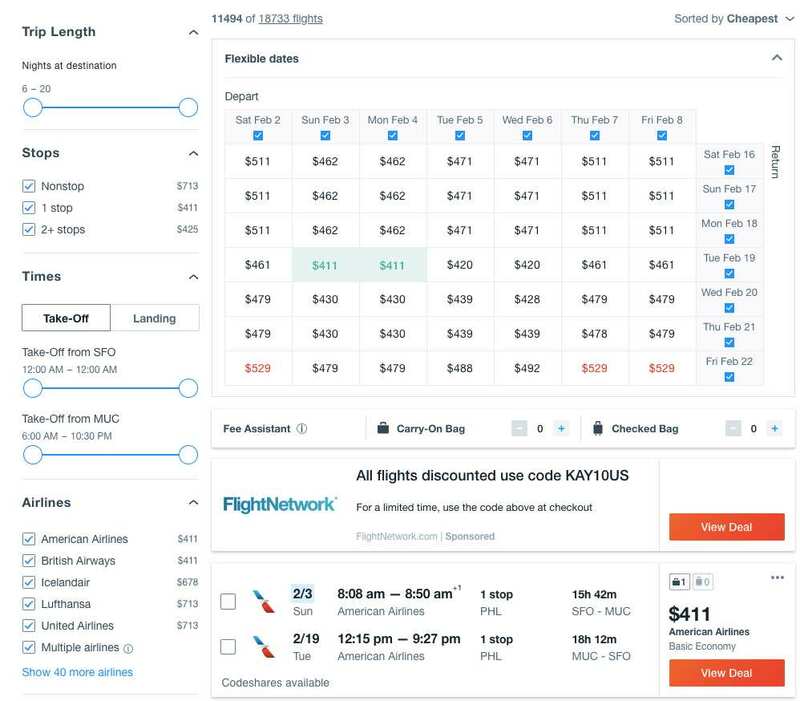 Also, if the flight you’re booking is a mistake fare, there’s better chance an airline will honor the ticket vs. an OTA—though the nature of mistake fares sometimes means they are only available on OTAs. It can take up to 48 hours for an OTA to secure your ticket from the airline, and since the fare could disappear at any moment, an OTA is more likely to cancel the sale if they can’t get the ticket from the airline at the price you paid. You’ll get refunded for it, of course, and we recommend you wait until your ticket is confirmed to make any additional plans, especially any nonrefundable ones. If your search results return favorable prices and routes that can be booked direct with the airline and the price isn’t significantly different from booking with an OTA, book direct with the airline. If there's a bigger discount for booking with an OTA, the savings may be worth it. Despite the above warnings, our flights experts and many Scott's Cheap Flights team members (Scott included) often book with OTAS, especially when the potential for savings is significant. If you’re confident you won’t need to cancel and and there’s a big difference in price between the OTA and the airline, it makes sense to save. 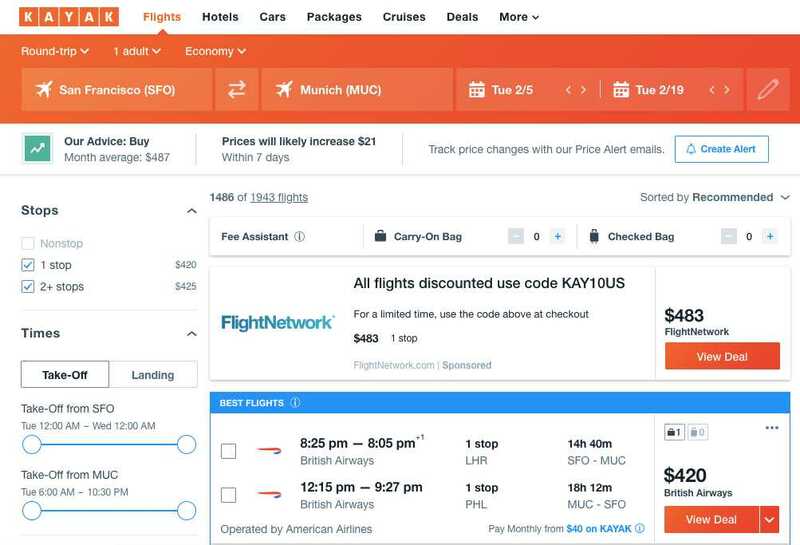 Bottom line: Kayak is a useful travel search engine, but it doesn’t always return the cheapest flights. 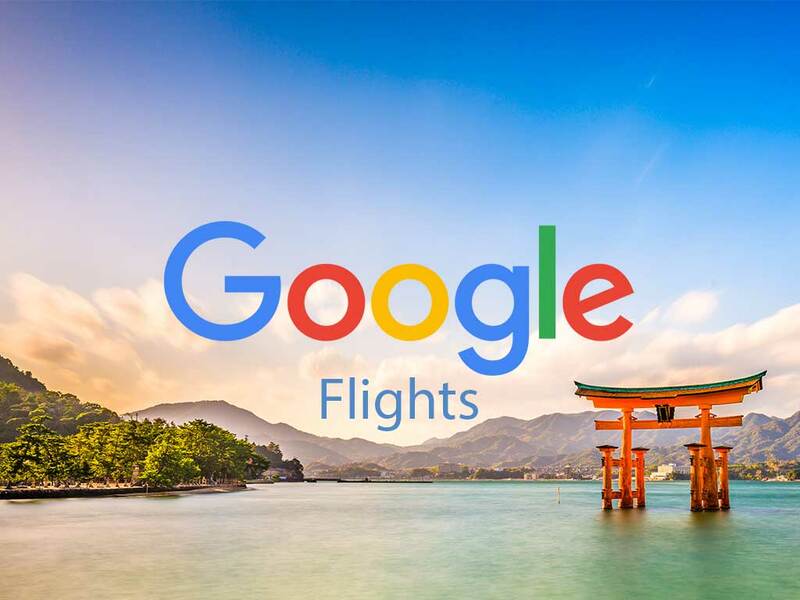 Be sure to check your results against other search engines, like Google Flights and Momondo, before booking to make sure you’re getting the best flight deal. And when it comes to booking with Kayak vs direct, weigh the pros and cons against any potential savings. Sign up for Scott's Cheap Flights and join 1.6 million members saving up to 90% on international flights.